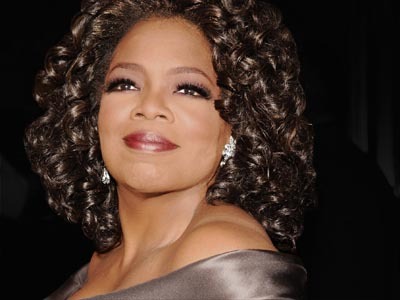 Revolutionary Paideia is proud to name Oprah Winfrey as its inaugural Person of the Year. Each year, Revolutionary Paideia will select a Person of the Year who embodies the spirit of “unsettling, unnerving, and unhousing” that founded this blog. The person has to comprehensively represent that spirit too. Oprah Winfrey is truly deserving of this award because she has achieved such greatness in the face of such opposition. Oprah has done things her way and has not focused on those who have been passionately trying to change her. Revolutionary Paideia is always proud of those who are willing to be themselves, especially when those people continue to be themselves when individuals harshly criticize and attack them for being themselves. In 25 years of service, Oprah has received some of the harshest criticism and most vicious attacks known to man. Her success has far surpassed harsh criticism and vicious attacks. Oprah could end the final season of her unmatched The Oprah Winfrey Show and do nothing else and she would still be one of the greatest people to ever live. She has decided to take a significant risk and start her own network, The Oprah Winfrey Network (OWN). Although she acknowledges that starting her own network could end up being a colossal failure, she is not afraid to experience this potential colossal failure. This woman has to be applauded for her courage because when you’re at the top of your game it takes great courage to risk it all for yet another investment in potential greatness. Oprah has been through so much in her life, but God has saw fit for her to experience the fullness of life in exchange for her being willing to not allow the Devil to defeat her. People can say what they want to about Oprah but the key to her success has been her faith in God and her willingness to be a cheerful giver. This woman has helped people to launch successful careers (Dr. Phil, Rachel Ray, Dr. Oz, and etc.). Oprah has given her entire studio audience cars that have not even come out on the market for other consumers to purchase. Her audience members were ecstatic, of course. Oprah was even more excited than they were. She was happy to be in a position where she could give to so many people and make a significant difference in their lives. Being a cheerful giver and making a difference in the lives of others is what it’s all about. I wish Oprah great success in all of her future endeavors. It is a great pleasure to name her The Revolutionary Paideia 2010 Person of the Year. @Karen: You should send a letter grant request to her non-profit foundation. She can make a contribution to your organization through her foundation. Thanks for reading and your response. I’m simply happy that you chose Oprah Winfrey as the Revolutionary Paideia 2010 Person of the Year. Her abundance of giving and business mind are two of the many reasons why I often look to the empire she has built for guidance, inspiration, and innovation. To watch her for the past 25 years successfully run at the helm, the Oprah Winfrey Show as well as build her brand and empire is something that I aspire to acclimate towards within my industry. Being “your best truth” is something that Oprah has fostered within me and I’m very much on the way. Her Oprah Winfrey Network (OWN) is groundbreaking and shows her fervor to want, do, and innovate even more at this stage of running a successful empire. Wonderful post and thank you for sharing! @Santresa: This award is the least I can do for someone as great as Oprah. She is certainly an inspiration for us all. Thank you for reading and your response. Happy New Year!